Today I’m bringing you a Zebra pattern! 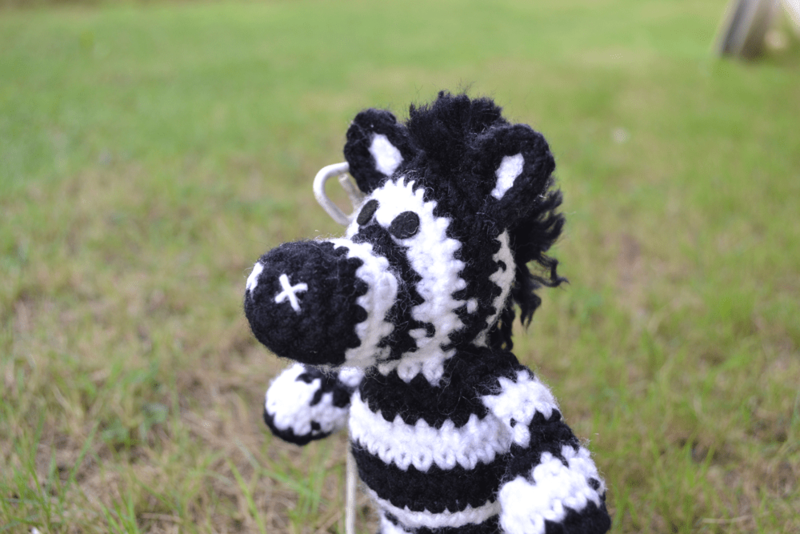 This Zebra was a co-creation made by Sharon Ojala and me. Sharon has a collection called Little Bigfoot, which is composed by many different animals! However, she didn’t have a Little Bigfoot Zebra pattern, so, I asked her permission if it was possible to modify her Bear pattern to create a Zebra and she was to kind for giving me her permission! ^^ What I created it was only the head, the zebra mane and the tail. If you want to do the complete collection created by Sharon, please, visit her blog, amigurumitogo.com, where she has a lot of beautiful crochet patterns! Also, if you wish, you can like her pages on Facebook, Amigurumi Freely and Amigurumi for Hire. – To make the nose you can cut two “x” of white felt and glue them to the face or you can sew the two “x” on the face using white yarn. *Start using the black yarn. * Make the three first rounds with black yarn. 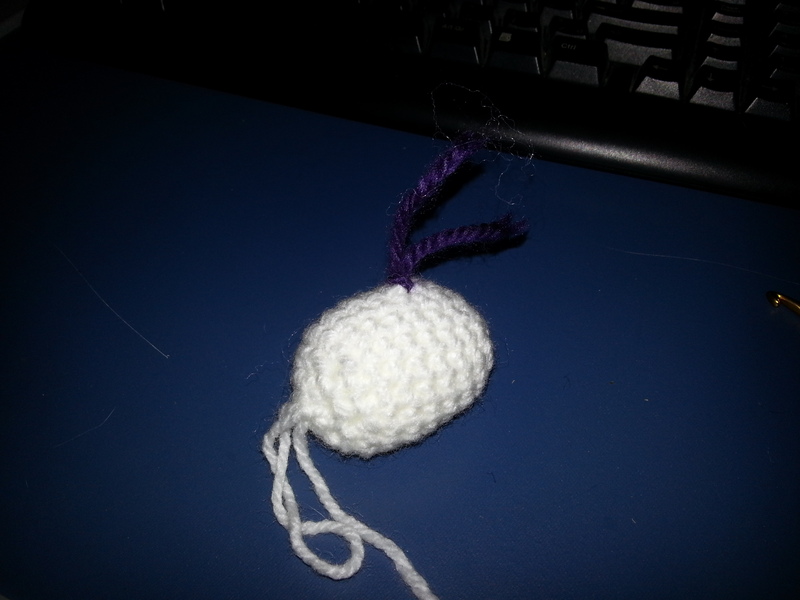 * Make the round 1 using the white yarn, then, use the black yarn to make the second round. 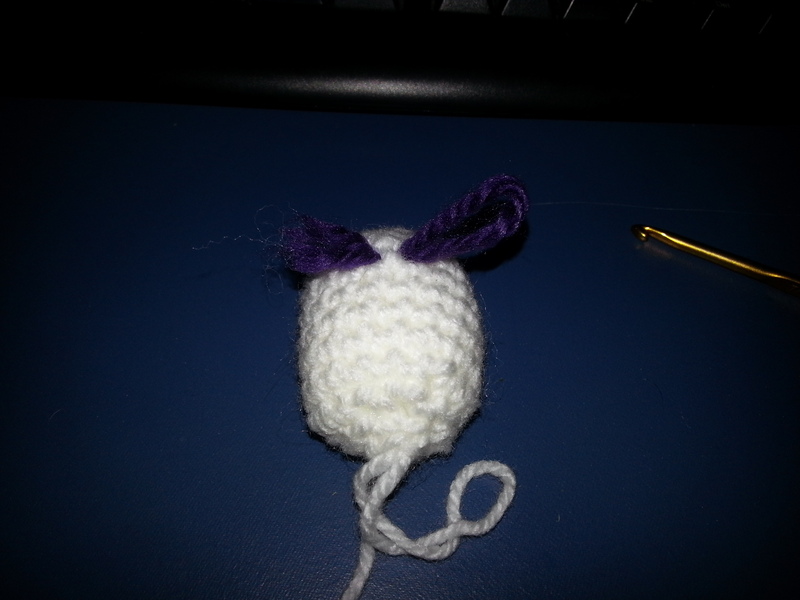 **To make the hair at the end of the tail you will need to cut some pieces of black yarn, because you will pull it through some stitches on the end of the tail. 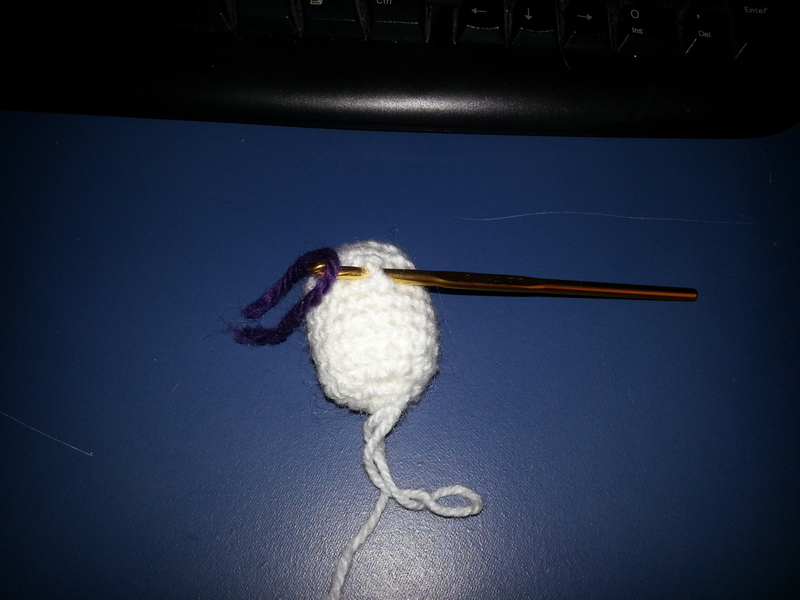 Pull the black yarn through each stich and then tie a knot. Do it as many times as you wish, until you think that is enough. 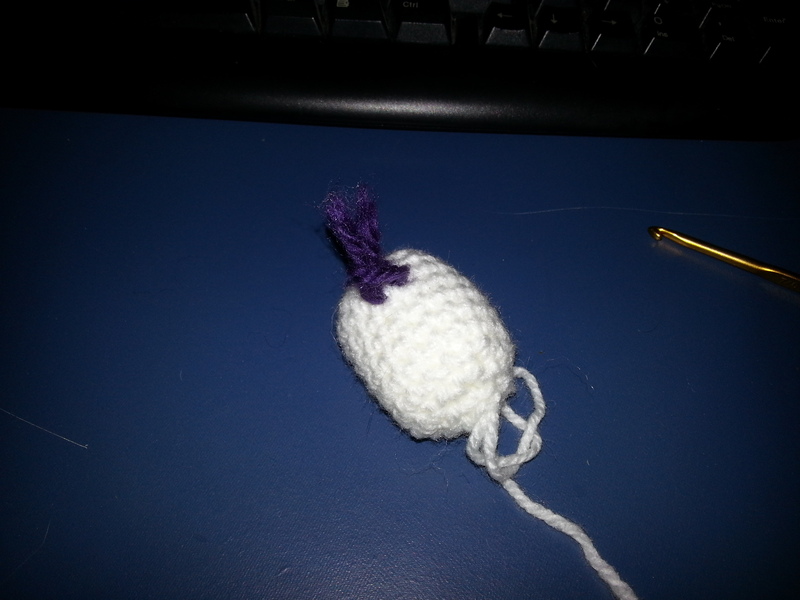 After that, untangle the yarn and then brush it with the hairbrush. To make the zebra’s mane you will use black yarn. 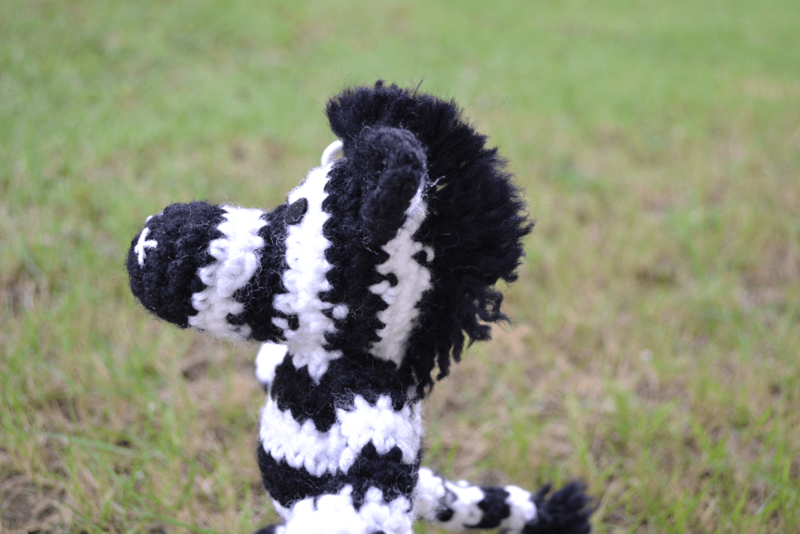 Cut many pieces of black yarn, because you will use them to pull through some stitches on the back of the zebra’s face. You will pull the yarn through each stich in two vertical rows starting from Round number twelve from head until the neck. 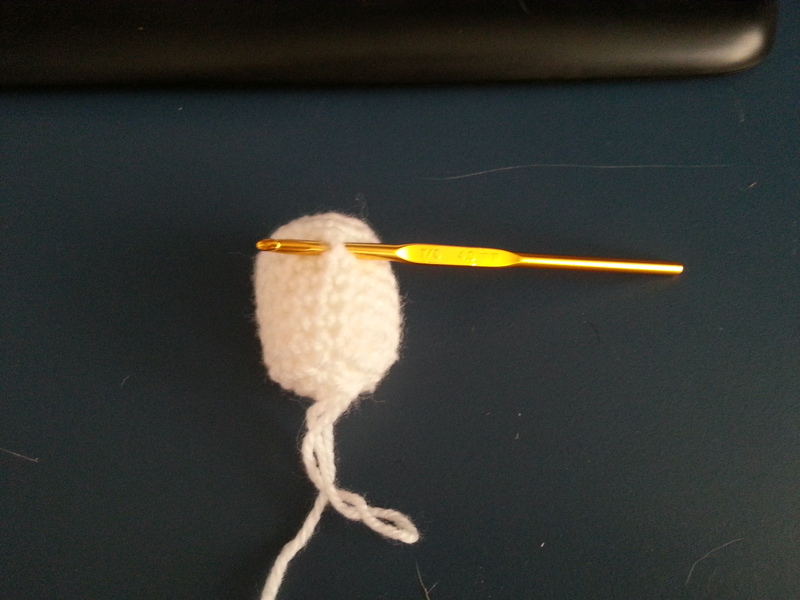 After pulling the yarn through one stich you will tie a knot. 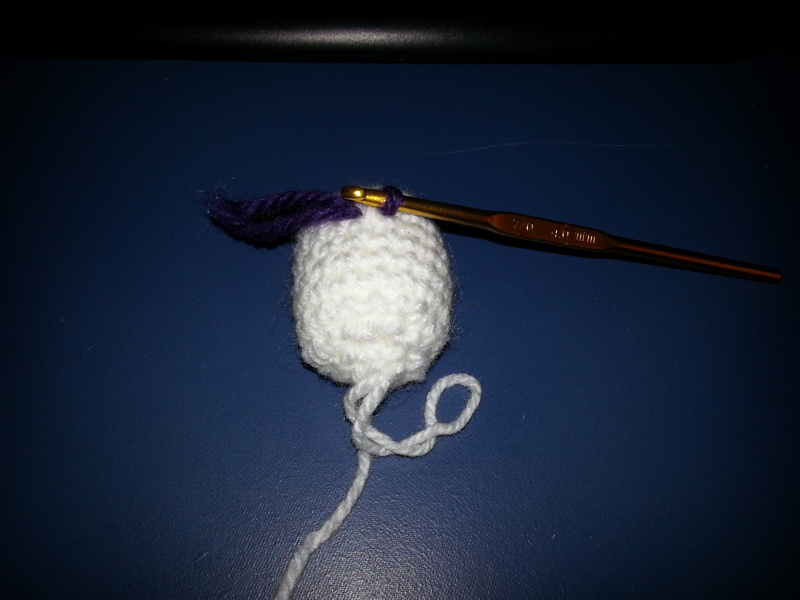 After you finish this part, you will untangle the yarn and then brush it with the hairbrush. Finally, cut the excess until you get the mane on the desired height. This Pattern was created by Sharon Ojala and Ana Amélia Mendes Galvão. Please, if you use this pattern, give us the credits; If you wish to share this pattern, you may create a link to my blog, but please do not post it on your site; You may not sell this pattern; You may sell any itens made from this pattern, just give us the credits. May I ask how tall the Zebra is? I don’t remember for sure, but I think it has about 5 inches. 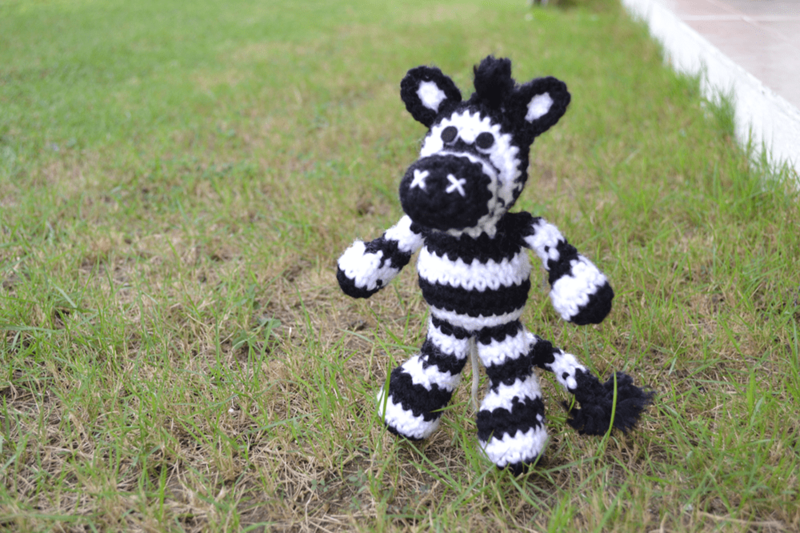 I have made a few animals from the Little Bigfoot collection and wanted to make a zebra as well. Thanks so much for sharing your pattern. You are very welcome, I’m glad that I’ve helped you!